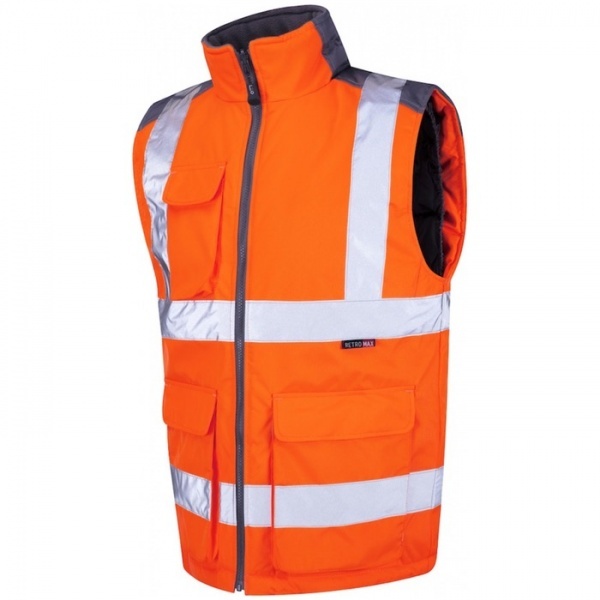 The vastly improved Torrington bodywarmer now has quilted lining 50% heavier and the design incorporates a new elasticated arm-hole draught defender; the overall fit and construction are also greatly enhanced. It's now everything you would want from a hi-vis bodywarmer; versatile, warm, snug and perfect for getting you seen in all seasons. Torrington bodywarmers can be zipped into any of the Leo Workwear Executive Anoraks for extra warmth.